Technology has proven itself how extremely it can be beneficial to humans over the years. This advancement in technological innovations has spread across all sectors of human lifestyle making unimaginable and impossible tasks facile. What Is Sporting Events Broadcasting? It is widely referred to as sportscast and is the process of broadcasting vast collection of sporting events. It entails a live coverage of sporting activities as a television program, commentary on radio or any other form of broadcasting media. This technological innovation is in response to the need for bringing live updates of sporting activities from the field to lovers of sport at their convenience. It is often done by running commentaries which usually involve one or more sports commentators. 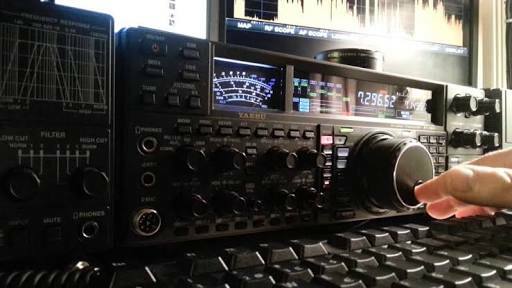 This is the equipment that takes broadcast signal, encodes it, and transmits it as a radio waves which will be picked up by any receiver from any range. A transmitter is a no substitute component which is very important for radio broadcasting. There are numerous types of Radio Transmitters available today. It ranges from a large FM Transmitters for full power Radio Stations and a medium to low power FM Transmitters such as those used on LPFM radio stations. A receiver is another fascinating inevitable equipment in a broadcasting station. It picks up the encoded broadcast signal from the transmitter, decode it, and allows you to hear it. This is also a no alternative equipment that will ensure your radio is set to pick up signals for playback. 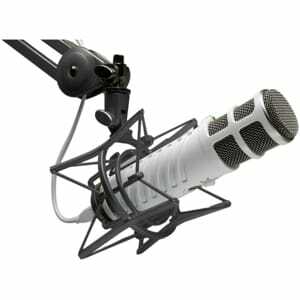 With this equipment, you are one step away from setting up a standard radio broadcasting station. An antenna is a radio broadcasting equipment for sending and receiving radio signals. It is of utmost importance to make an in-depth research on a type of antenna to know which FM Antenna is best for a particular type of broadcasting, especially for sporting events broadcasting. Taking the price into consideration is very important as you will not want to go for an expensive FM antenna especially if you are starting out to set up a broadcasting station. Broadcasting simply imply the act of reaching to a large number of people at a time. Transmitting your signal internally from one place to another is a hurdle to overcome before attempting a wide range transmission. 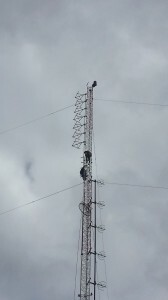 For instance, transmitting signal from the broadcasting studio up to the FM tower. Transmission line is an equipment necessary for this. It ensures the broadcast from the studio gets to the transmitter. It is usually in form of coaxial cables and are also available in various forms. Audio is renowned as the heart of broadcasting; it implies sound which is a feature of an excellent broadcasting. Taking sounds into consideration can be likened to taking care of your car engine. The audio processor is an equipment that amplifies and optimizes the quality of a sound. There are vast collections of audio processors; most are stand-alone processors which can be purchased separately and attached to the FM transmitter. However, this equipment has substitutes it can be replaced by software on computer-based radio broadcasts. A mixer is an inevitable accessory which can be purchased separately for broadcasting sporting events on the radio station. It works in conjunction with an audio processor and it allows you to combine different audio signals and control several ways of how they sound which include level, tempo, equalization and so on. In response to ensuring appropriate feedback is received after sending a signal, there is a need for high quality monitor speakers. This equipment can also be acquired separately. As it is important to listen and hear the contents of your broadcast, these speakers offer the exact representation of the signal you sent when broadcasting. Audio cables are essential accessories which are in various qualities. It links other equipment such as the audio processor, mixers, speakers and so on allowing your signal to flow freely from one equipment to the other in your broadcast studio. The strength of your audio cables corresponds to its quality and in return are basis for settling up a professional radio broadcasting station. It is important to pick a durable one to achieve longevity and quality sporting events broadcasting. Audio playback devices are fascinating equipment that is pivotal in building a superb radio broadcasting station. Unlike vintage radio stations, modern radio stations combine a computer with available several options for audio playback such as CD players, tape machines, or vinyl record players. However, it is not a must that all these playbacks are used at the same time. Therefore, with one of them, it is enough for a good live broadcasting. Setting a personal online radio sporting events broadcasting station can be achieved easily these days. It only poses some difficulties when you don’t have the essential equipment. That is why if you are looking to setup one, it is very important that you draw out plans and look carefully into your budget before venturing into this aspect of technological establishment. With the application of quality equipment and learning the necessary skills, you have the power to produce a professional on-air sporting events broadcast and importantly hand yourself a long lasting successful career in radio broadcasting.